No credit card, no risk sign-up 83% of new players recommend this casino 43 new players chose this casino today! Viva Slots Casino by Rocket Speed Inc. is a social slots app for Android and iPhone devices. It is also available as a Facebook app that you can access from any device online. It features 100 classic slot machines that completely replicate the look and feel of Las Vegas. Important: It does not offer real-money gambling - all the games are meant only for fun. In this Viva Slots review, we will discuss the strengths and weaknesses of this casino app. Just like any other casino app of this kind, Viva Slots offers a neat Welcome Bonus as soon as you visit the casino for the first time. When you sign up, you get 20,000 FREE credits, as well as a neat daily bonus. These credits are enough to play for quite some time - if you’re not out of luck, that is. In case you run out of free credits to play, simply connect your casino account to Facebook. This will earn you additional 10,000 credits! Then, you will get a new Viva Slots Vegas casino bonus every day. It won’t be that big, but it’s still better than nothing! Finally, I strongly suggest you join their Facebook community page. In this way, you’ll be able to get generous bonuses constantly. Answer their questions or simply click on bonus links and earn thousands of credits every few days. Of course, if you don’t want to wait for bonuses, you can simply buy some casino credits. The price starts from $0.99. Viva Slots Casino: Las Vegas features only slot machines. That’s right - there are no blackjack or roulette games available. However, it doesn’t matter that much if you’re a fan of slots. The casino functions on this principle: you don’t get to play all the games at once. Instead, you have to unlock new slots on the go. At first, only four slot machines are unlocked. Play these games and you’ll be able to discover new slots in no time! 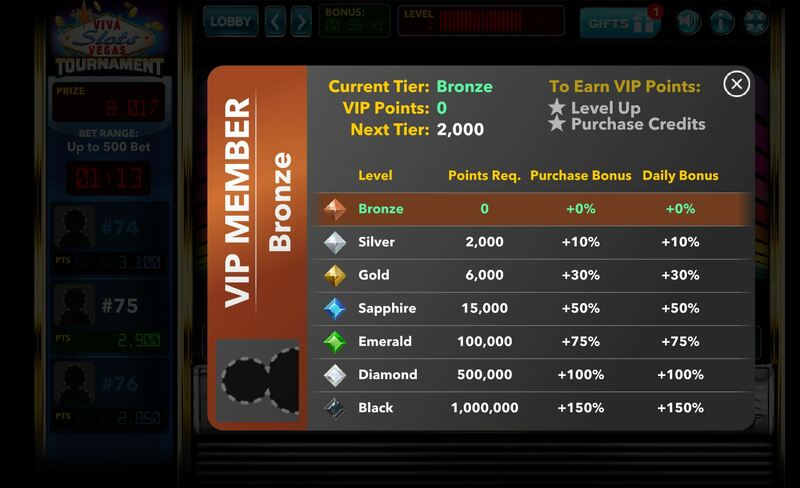 And as you level up, you get free credits and VIP points. 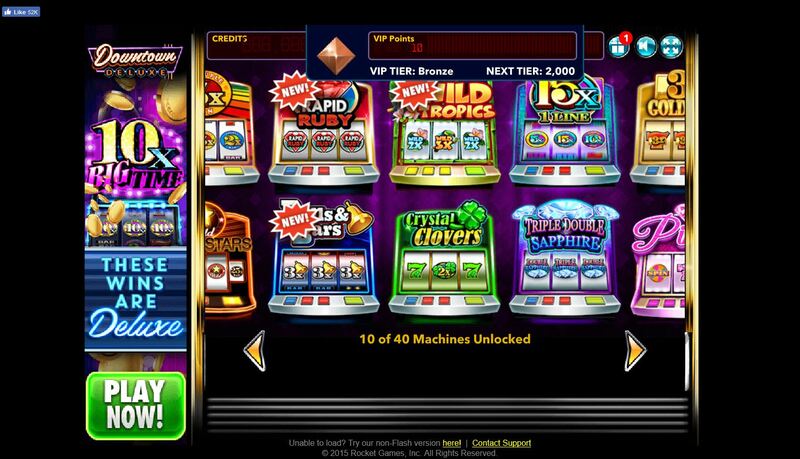 Viva Slots features games like Wild Super Stars, Rapid Ruby, and Wild Tropics. The bets vary from 50 to 50,000,000 credits. However, the games could be more varied. Here, all the slot machines have only one payline and simplistic design. For this reason, fans of video slots might not find what they’re looking for. However, those who prefer classic Vegas-style slot machines will find the casino perfect. Let’s pay some attention to the fact that Viva Slots is a social casino. Because of this, you can exchange gifts with your friends, which makes online gambling much more interesting. Viva Casino: Las Vegas Slots is available as two amazing apps for Android and iOS devices. Download it and play classic slot machines even offline! If you want to reach out to the casino’s customer support, you can write to them on Facebook. They should answer to you in a few hours. In addition, you can use this email address: vivaslotssupport@rocketspeed.net. Viva Slots Casino is a decent app for those who like classic Las Vegas-style slot machines. 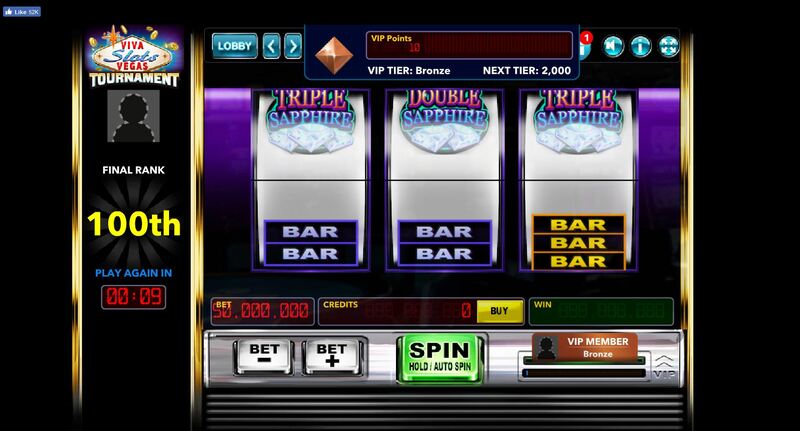 It offers lots of bonuses, so you can play slots for free without the need to make in-app purchases. The only downside is the lack of other casino games.